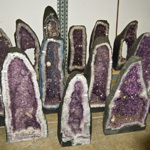 We carry a variety of amethyst stand-up decorators from Uruguay. 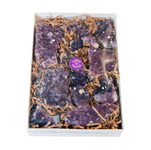 Add this item to your order so that we can help with your selection. You will not be charged unless you make a selection. Some things to consider adding as notes on your order are the specifics of what you may be looking for. We will do our best to select closest to your wishes. Qualities that may affect pricing on a stand-up are colour ranging from light to dark. 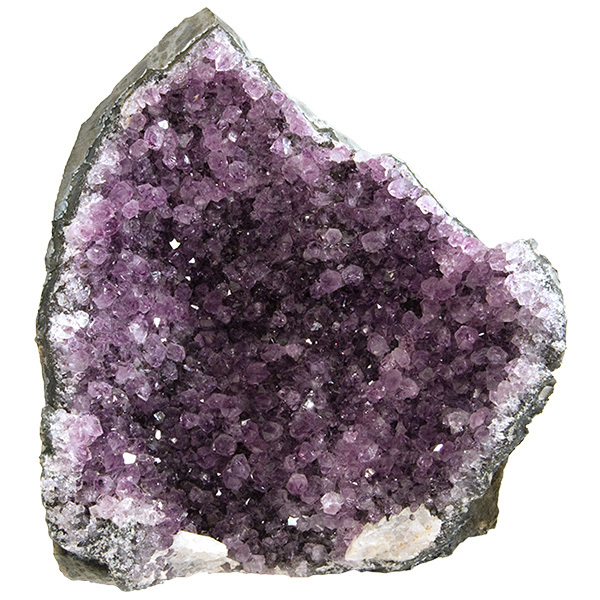 Saturation may range from only appearing at the tips of the crystals to all the way through. 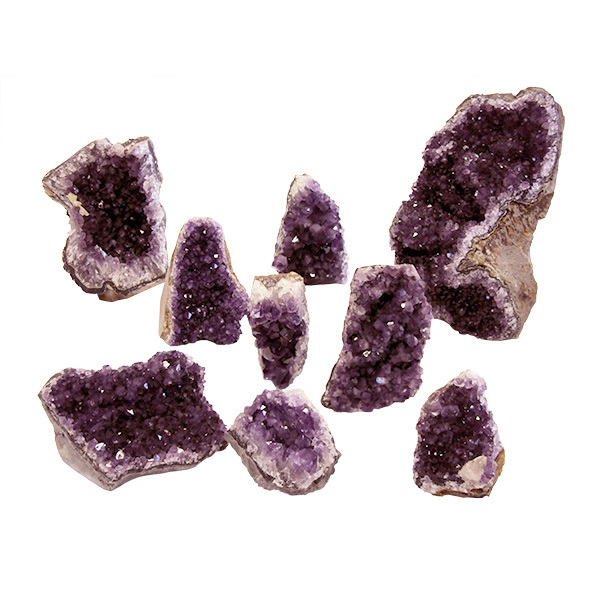 Inclusions of white calcite often increase the price because of the interest they create in the piece. We offer stand-ups in small to XXL sizing, depending on availability. Amethyst slices are generally used for decorating, collecting, healing, Feng Shui and educational purposes. Some are placed in a garden, or as part of a stone wall.